What is Amazon's Alexa Guard and How Does It Work? A new feature for the Amazon Echo, called Amazon Alexa Guard, adds security system functions to the Alexa voice assistant. Alexa Guard can turn your Echo devices from everyday smart home products into a home security system. Once Alexa Guard is enabled by the user saying "Alexa, I'm leaving", Alexa devices will respond with "OK, I'll be on guard" and switch to Away mode. This will turn on the microphones on the devices to consistently listen out for signs of an emergency, including glass breaking, alarms and smoke detectors, crashes, or falls in your home. If something happens, you'll receive an alert on your smartphone. Alexa Guard cannot call emergency services, such as 911, on its own. If you subscribe to a professional security service, such as ADT or Ring, Alexa Guard can also send alerts to those services so they can increase surveillance of your home. In the event of an emergency, you'll still have to contact help on your own, either by calling 911 or requesting in-person assistance from your security service through their apps. If there's no danger or intrusion, Alexa Guard can still work to prevent an issue by simulating that someone is home. If you have smart lights connected in your home, you can connect them to the Amazon Alexa app and Alexa Guard will turn the lights on and off randomly. Users can also manage the lights remotely from the Alexa app, available for both Android and iOS devices. You can turn Alexa Guard off by saying "Alexa, I'm home" when you've returned home. 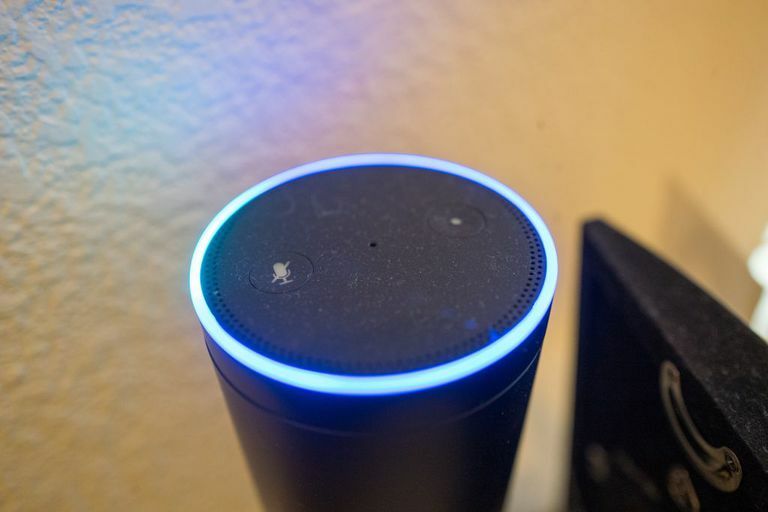 If you have home security hardware that works with Alexa, such as an Amazon Ring Alarm, you'll have to enter a PIN code to confirm your identity before Alexa Guard will disable. Alexa Guard is only compatible with the latest Amazon Echo models, including the current-generation Amazon Echo and Echo Dot smart speakers, and the Echo Plus smart home hub. The Echo Show smart display, Echo Spot mini smart display, and the Echo Input are also compatible with Alexa Guard, and allow users to add Alexa features to other electronic devices. The first-generation Amazon Echo and Echo Plus, as well as the first-and-second-generation Echo Dot will not support Alexa Guard.